In this section, we will talk about the various housekeeping options available to you in CRD: Components and Folder Housekeeping. 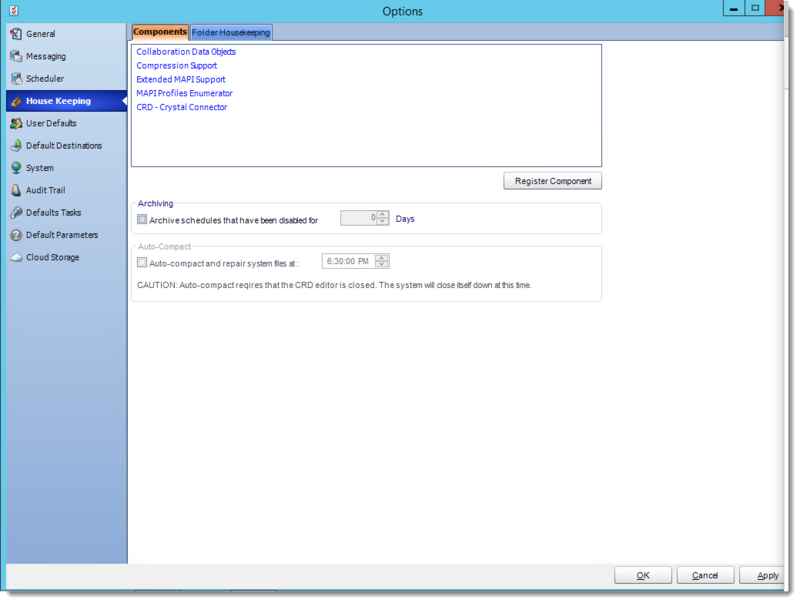 These options allow you to manage settings that help you manage the resources CRD works with. From time to time, the main DLLs required to run CRD successfully will need to be re-registered into your system registry. This need may arise as a result of the install or uninstall process of other applications you may be running on your PC. Depending on the version of CRD you have, you may not have all components in the list. Do not worry. Only components relevant to the version of CRD you are running will appear. 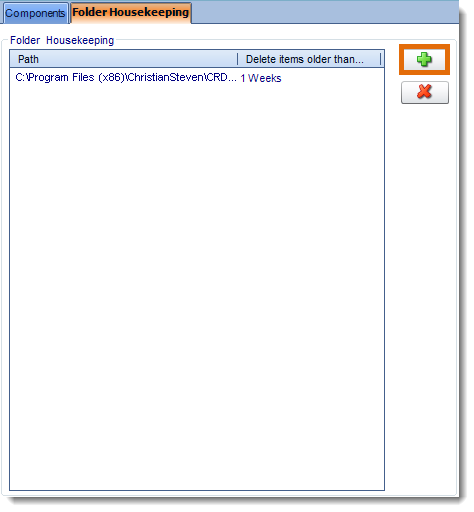 CRD allows you the option to move disabled schedules to an Archive folder. Schedules moved to the Archive folder can be enabled again and moved to other folders, but this option keeps folders neat and easier to manage.